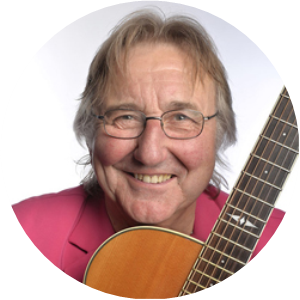 Mervyn Stutter is a satirical songwriter, comedian, actor and scriptwriter and has been making people laugh in comedy clubs, cabaret theatre, folk clubs, radio and TV for 40 years. He was a founder member of the Flying Pickets and this year celebrates his 31st year at the Edinburgh Fringe and the 26th year of his legendary Pick of the Fringe showcase - making it the longest running show in the history of the Festival. He wrote and starred in two hit comedy series for the BBC: Love 40 - New Balls Please (Radio 2) “the best radio comedy programme I’ve heard for years” The Observer and Getting Nowhere Fast (Radio 4) still being repeated every year on Radio 4 Extra simply because the listeners write in and request it! "Written by the extremely funny Mervyn Stutter, this comedy series has a laugh every other line. Expect to see this on TV soon!" He has written and starred in his own radio plays - the hugely successful Going Troppo plus Waterloo Sunset and Dave the Dead Lefty. He has written and presented many documentaries - Another Hard Day at the Orifice, Rejects Revenge, Beyond the Cringe and a 4 part retrospective on the legendary 23 year long BBC wireless show Workers Playtime called What about the Workers. He tours his live solo shows regularly each year and audiences love him. Shows include Songs For Menopausal Flower Children, And Another Thing! Easy shop Rider and Utterly Stutterly. He is irreverent, funny, affectionate, clever but clean. He chats a bit, tells a few jokes, makes some pithy observations, with lots of clever comedy songs on guitar in a joyous 90 minute show of life affirming fun. He is an accomplished singer and guitarist and his shows are often hilarious & yet thought-provoking. It is not empty, throw-away humour but lasts long after the moment has passed.